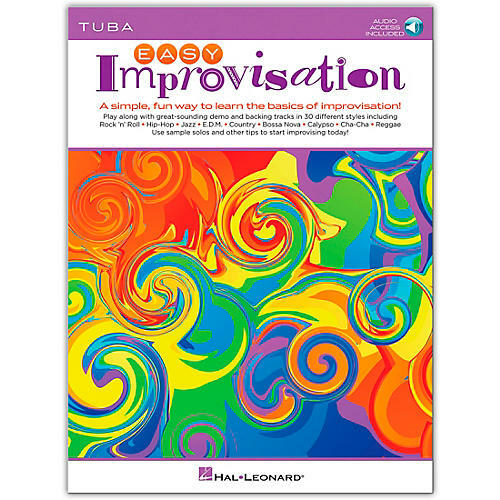 Easy Improvisation is a great way to learn the basics of improvising, on your own, with friends, or with the whole band! Musicians are given guidance to play along in parts, to play along with written-out solos, or to improvise on their own. The audio tracks include demonstration of the music on the page, or just the background rhythms and chords. 30 different styles are included: rock 'n' roll, hip-hop, jazz, EDM, country, Bossa Nova, calypso, cha-cha, reggae, and more. Use sample solos and other tips to start improvising today!